In the third edition of our newest segment, NBA Stats of the Week, we’ll look deeper into the Heat historic win streak, the impressive recent play by Monta Ellis, and a season by an NBA legend that simply defies age, and I’m not talking about Kobe, and other statistical tidbits from the last week that you my have missed. Miami Heat: Lebron and Co. kept the train rolling on Monday night against the Boston Celtics. It wasn’t easy, though. Through the first 39 minutes of the game, the Celtics lead 93-83. Then Lebron checked in. Lebron James scored 13 points and dished out 3 assists. The Heat ended the game on a 22-10 scoring run to bring their winning streak to 23 games, the second longest NBA winning streak ever, 10 games behind the 1972-73 Los Angeles Lakers’ streak of 33 games. What has been the biggest key for the Heat in this streak? Fourth quarter play and defense. Since the beginning of their streak, the Heat lead the league in fourth quarter point differential, beating their opponents in that quarter by an average of 4.8 points per fourth quarter. They have the fourth best fourth quarter scoring average over that stretch and the best defense in that quarter. Overall, they have the fourth best scoring defense over that stretch and force the second most turnovers in the league. Lastly, Lebron had 37 points and 12 assists last night, his 18th career 35 point, 10 assist game. Do you know who that ties him with? Michael Jordan. Monta Ellis: Ellis was the laughing stock of the league up until two weeks ago. At the time of the trade for JJ Redick, his shooting chart looked like this (below to the left). He was one of the most inefficient scoring guards in the entire NBA and seemed to shoot way too often. Since the beginning of March (providing a couple of games to adjust to his new teammate), Monta Ellis is shooting remarkably more efficient (below to the right). He’s not only beginning to knock down mid-range jump shots better, but he is shooting a whopping 11.5% better from under the rim. With a better teammate to play with, Monta Ellis feels less obligated to score himself and now only attacks the basket when it’s a good idea to do so, which benefits the team. Tim Duncan: What Duncan is doing this season is absolutely amazing, and is going unnoticed in many ways. He is 36 years old and will be 37 by the time that his team is eliminated from the playoffs. He is still the leader of a team that is first in the ultra-competitive western conference and is the anchor of a defense that is ranked third in the NBA in defensive rating (points against per 100 possessions). But without knowing his personal numbers, you might feel inclined to chalk these things up to the fact that he plays besides Tony Parker, an elite point guard, and several productive young role players. These are Tim Duncan’s per-36 minute statistics from this season, as well as his first ten seasons in the league, when he was highly acclaimed as a productive NBA big man. His statistics from THIS SEASON, at age 36, match up very closely with the per-36 minute numbers that he put up in his younger days. In fact, he’s blocking shots at a higher rate than he’s ever done before and is turning the ball over less than he’s ever done before. Of course, 36-minute splits aren’t a tell-all stat, and he isn’t as productive if he’s only playing 75% of the minutes he once played, but they surely go a long way in showing that during the time he’s spent on the court, he’s as good as ever. Spencer Hawes: Spencer Hawes posted a career game on Saturday against the Pacers when he tallied 18 points, 16 rebounds, 8 assists, and 7 blocks. The only players to ever do that before are Hakeem Olajuwon and Charles Barkley. Hakeem Olajuwon, Charles Barkley, and now Spencer Hawes. So… there’s that. You can follow Skyler on twitter at @SkylerJGilbert. I’d actually appreciate if you did that. In the second of the new Stats of the Week series that I am instilling on HCB, we’ll look into the miraculous performances of a 34-year old who acts 10 years younger, a historic shooting performance by an eastern conference point guard, and a winning streak that is soon going to be so long that you can no longer count the games won on your fingers and toes, as well as a couple of other fascinating statistical points worthy of discussion. Kobe Bryant: The star of the Lakers has been on a tear since he guaranteed the Lakers would make the playoffs on February 21. Since he made this bold declaration, the Black Mamba has averaged 34.0 PPG, 7.1 APG, and 6.6 RPG on a very impressive effective field goal percentage of .606 (league average for guards is about .49 eFG%). More importantly, the Lakers are 7-2 in those 9 games, going from being 3.5 games back of the Rockets and 5 games back of the Jazz to actually catching up to Utah at the moment, tied for the 8th best record in the conference (still occupying the 9th spot due to tie-breaking procedures.) 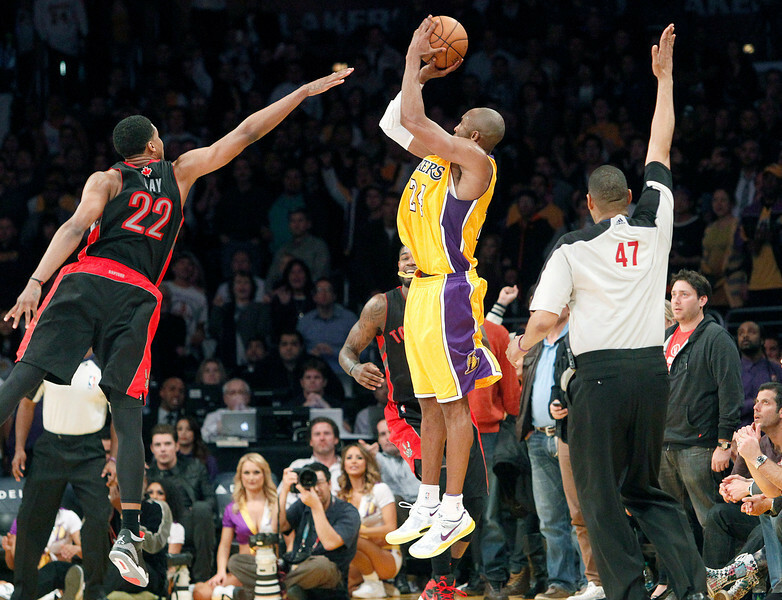 But there was more to Kobe’s greatness in a pair of games last week specifically. Let’s put it this way: From the beginning of Kobe Bryant’s career up until last Wednesday’s game against the Hornets, Bryant had played a total of 1443 career games, including the playoffs, without ever recording 40+ points and 12+ assists in his career. So basically, it took him 1443 games to post his first career 40-point, 12-assist performance of his career. Do you know how man games it took him to reach those marks again after his first time doing it? One. That’s right. He completed the feat in consecutive games after not once doing it in his whole career. Kobe Bryant joins Michael Jordan as the only players to ever gain these statistics in two games in a row. Jordan did it in two games in 1989. Both of Jordan’s games doing it were triple doubles, while Bryant shot more efficiently. Deron Williams: You may have read in last week’s edition of Stats of the Week that Stephen Curry became just the fifth player in NBA history to make at least 11 three-pointers in a single contest. Well… on Friday against the Wizards, Deron Williams became the sixth to do it, exactly a week after Curry did it, about a ten minute express train ride from where Curry did it. Although the game that Williams had wasn’t as impressive as Curry’s in terms of efficiency, it did set some records that Curry’s did not. For example, Deron Williams made 7 first quarter three-pointers, which easily is the most in the league this season. Curry added two more in the second quarter to bring his total to nine at the half, good enough to set an NBA record for threes in a half. Miami Heat: The basketball team in South Beach is playing on a wicked level right now, winning 18 consecutive games, which tops the Clippers for the longest win streak in the NBA this season. Under closer examination, the streak looks even more impressive. They have wins against Indiana, Memphis, Oklahoma City, New York, and both LA teams, with none of those games being very close at the end. They’re averaging a winning margin by 11.4 points during the streak. They have a FG% of an incredible 51.4% against their opponents during the streak, the best by any NBA team in their last 18 games. To add to that, their defense has almost been as good as their offense. They’re in the top third of the league in FG% defense among teams in their last 18 games, and are second in the league at forcing turnovers during that stretch. Who has been leading this streak for the Heat? Their stars. 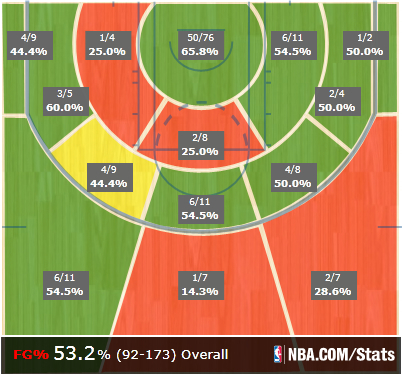 Lebron, Wade, and Bosh are shooting eFG’s of 64.6%, 55.4% and 54.3%, respectively, all very impressive. Brandon Jennings: Although Brandon Jennings has long been known as a shoot-first kind of PG (he only is averaging 5.7 APG with an assist rate of 28% in his career), that may be changing now that JJ Redick is on his team. Each of Jennings’ two highest single-game assist totals of his career and 4 of his top 13 assist games of his career have occurred since the beginning of March. This month he is averaging 13.2 assists per game, an assist rate of 45.8%, remarkably better than his career assist rate. His eFG% has also jumped this month (from a terrible 43.4% to an elite 60.8%), presumably as an effect from not needing to carry as much of the work load as he had been asked to handle before the Bucks made the blockbuster trade at the deadline to bring in Redick. Viacheslav Kravtslav: The big man off the bench for the Detroit Pistons hasn’t played much this season. Here are some ridiculous stats on his behalf, though. Among players to have ever shot at least 75% from the field in a season, Kravtslav currently has the most shot attempts. Yes, you read that right. Among players who have ever finished a season making at least three quarter of their field goal attempts, none have taken more than 17 shots in a season. Kravtsov currently has taken 38. If you look at the free throw aspect of the game, almost exactly the opposite is true. Kravtsov is shooting a remarkably terrible 22.6% of his free throws. The record for free throw attempts in a season where a player has shot worse than 23% is 31, by Garfield Smith of the 1971-72 Celtics team. Kravtsov is currently tied with him in FTA, shooting 31 so far this season himself. Basically what I’m saying is that, using very lenient rules for letting a player be qualified, Viacheslav Kravtslav is having the best shooting season ever from the field and the worst shooting season ever from the charity stripe, IN THE SAME SEASON. You can follow Skyler Gilbert on twitter at @SkylerJGilbert. Draymond Green hasn’t been very effective this season for the Warriors. Anyone who looks up his numbers could tell you that. It just hasn’t been pretty. After being selected by the Golden State Warrior with the 35th overall pick of last summer’s NBA draft, Draymond is shooting just 32.6% from the field this season, and only 21.1% from three. The field goal percentage for Green is last in the NBA this season for players who have played at least 850 minutes this year. Needless to say, most people overlook a guy who shoots this poorly from the field in their rookie season. But there’s something different about Draymond Green. His effort on the floor, energy off the bench, and commitment to getting better makes Draymond Green special. He has a bright career ahead of him, he just needs to find his way in the league. Some players have a very smooth transition into new circumstances. Kenneth Faried and Chandler Parsons last season and Damian Lillard and Andre Drummond this season just seemed to understand their role in the NBA immediately. They jumped into their specific job on their team like they had been doing it for a dozen years. Other players (like Green) don’t adjust as immediately well into new situations, but that’s okay. Even at Michigan State, it took some time for Draymond Green to adjust to Izzo’s system. As a freshman, Green played just 11.4 minutes a game and scored a measly 3.3 points per game with 3.3 rebounds a game this season (eerily similar to his 14.4 MPG with 3.2 PPG and 3.6 RPG in the NBA this season). In the years following his freshman season, he grew as a scorer, a rebounder, and as an outside shooter every season. By the time Green was a senior, he scored 16.2 PPG, 10.6 RPG, and was voted in as a first-team consensus NCAA All-American and the NABC player of the year. Let’s get back to the three-point shooting aspect, though. 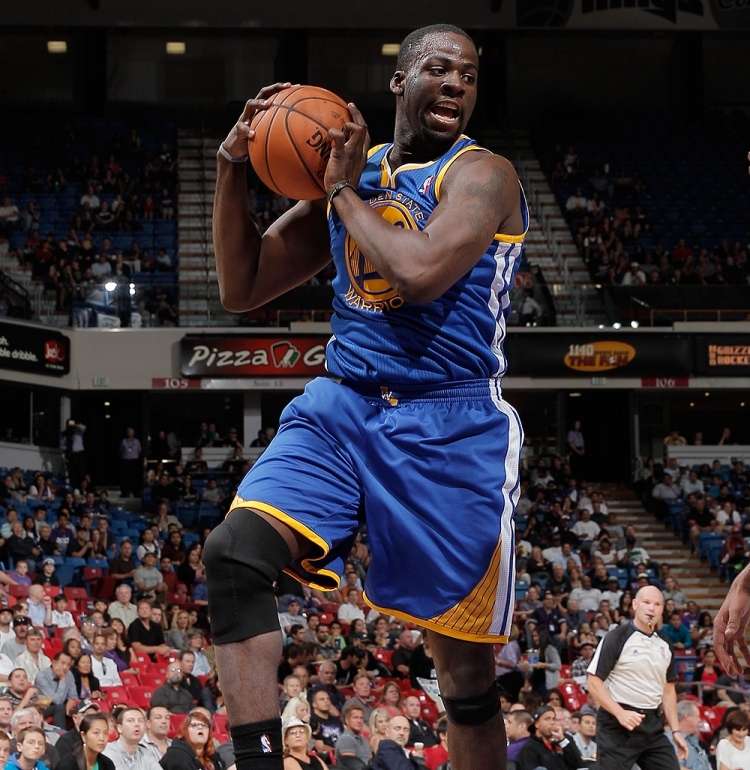 As a freshman and sophomore, Draymond Green made two three-pointers in both seasons combined. In his final two seasons? Green made 89 threes. So he’s shown that he can work hard and improve his game. He’s shown that practice has paid off in other facets of his game, too. Just look at his performance from the free-throw line. Here are his free throw percentages in his four seasons at Michigan State: 61.5%, 67.2%, 68.3%, and 72.3%. Improvement every year. You know what Draymond is shooting from the free-throw stripe this season with the Warriors? 85.1%. It’s subtle, but the subtle things like this are sometimes the best indicators of a player’s determination to improve and strive to be the best that he can be. When discussing Draymond Green’s work ethic and continuous growth, his MSU head coach Tom Izzo said, “Draymond embodies everything that is right about a college basketball player… …He’s done what few can do and that’s get better each and every year… …He’s worked hard on improving his decision making, his body and his versatile skill set.” Izzo also went on to compare Green’s work ethic and winning attitude to that of Michigan State legends Magic Johnson and Mateen Cleaves. It’s pretty high praise for a guy with as much of a legacy as Tom Izzo has. It’s that kind of work ethic that leads to players improving in the NBA. Even within this season, Draymond Green has improved. His field goal percentage reached 47% in January, improving from the two prior months where he shot horridly. His rebounding has improved as well, as it was up to 10.6 rebounds per 36 minutes in February, a very impressive mark by someone who’s logging the majority of his minutes playing at the small forward. Draymond Green has been a defensive factor coming off the bench this season. His length poses problems to many taller players that he has to play defense against on the floor. He has a knack for getting in the passing lane and forcing turnovers. 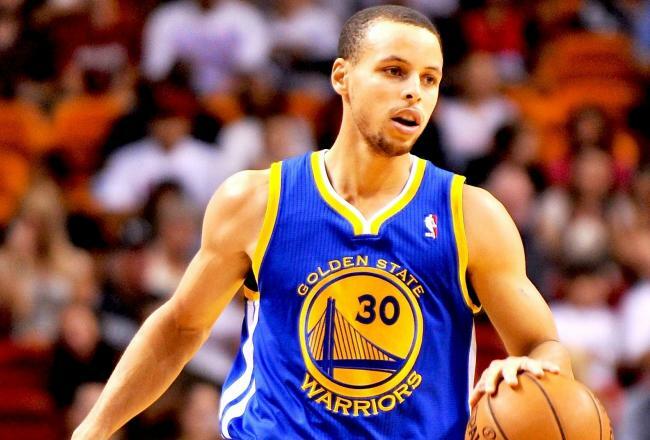 He and Stephen Curry are the only qualified players on the Warriors that record a steal on at least 2% of their defensive possessions, and Curry has an advantage in that category by being able to play on the point guard, the predominant ball handler on every team in the league except the Heat. (Lebron just breaks every trend.) Let’s examine an example. Like always, you can click on the images to zoom closer. 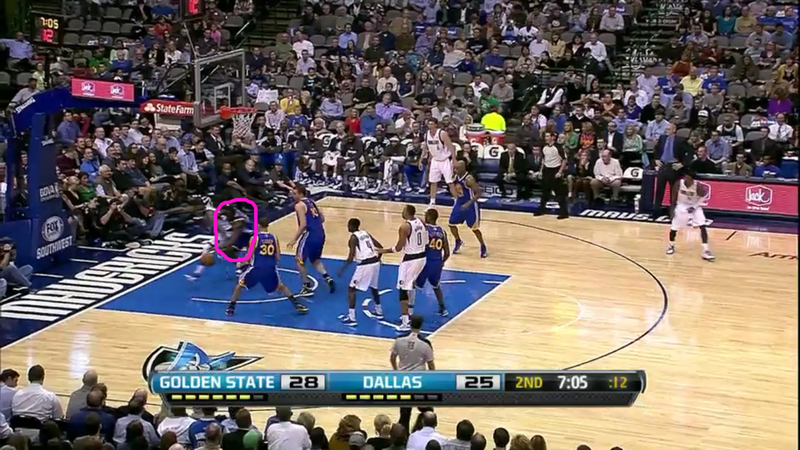 This is from a game in November when the Warriors played in Dallas against the Mavs. On the left, you can see Darren Collison is trying to hit Bernard James, the back-up center for the Mavericks on a backdoor cut to the basket. 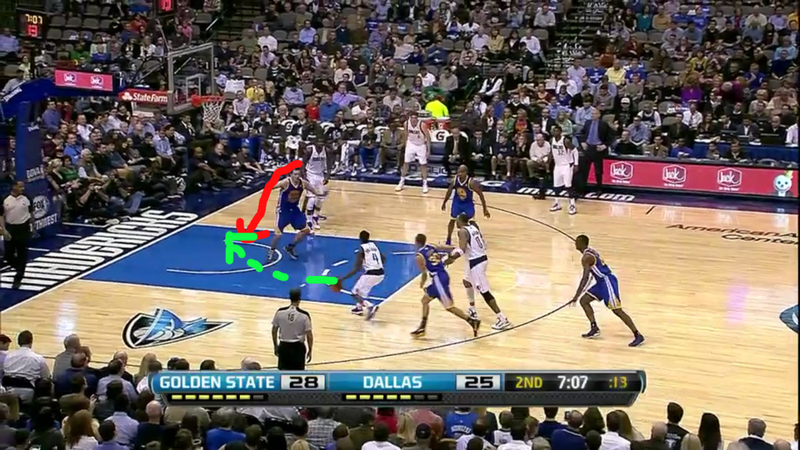 The pass attempt coming up is shown in dotted green while James’ cut to the basket is shown in red. Draymond Green, whose man is Troy Murphy in the corner (can you believe that it was this season that he was on the Mavericks? ), recognizes that a pass from Collison to Murphy from the position that he’s in would be nearly impossible so he cheats down and helps on Bernard James. With excellent play recognition, Draymond Green, circled in pink is able to beat James to the ball, get into the passing lane, and force the turnover. His energy helps the team in other areas too. He’s a solid rebounder for a small forward, and as I mentioned earlier in the article, is grabbing 10.6 rebounds per 36 minutes in the last month. His tenacious rebounding can be seen in this example here. As you can tell based on the freeze frame to the left, this is a Harrison Barnes free throw attempt in the final minute of a close game about a week and a half ago against the Timberwolves. The ball is circled in yellow and Draymond Green is circled in the color that fits his last name. You can see that Derrick Williams appears to have good position boxing out on Green. Barnes missed the free-throw, and Green made a strong move to the basket to get the upper-hand in rebounding position on Derrick Williams. Williams tried to draw a foul and pretty blatantly flopped on the play, if you’re wondering why he’s sprawling on his back 5 feet behind the baseline in the second photo. 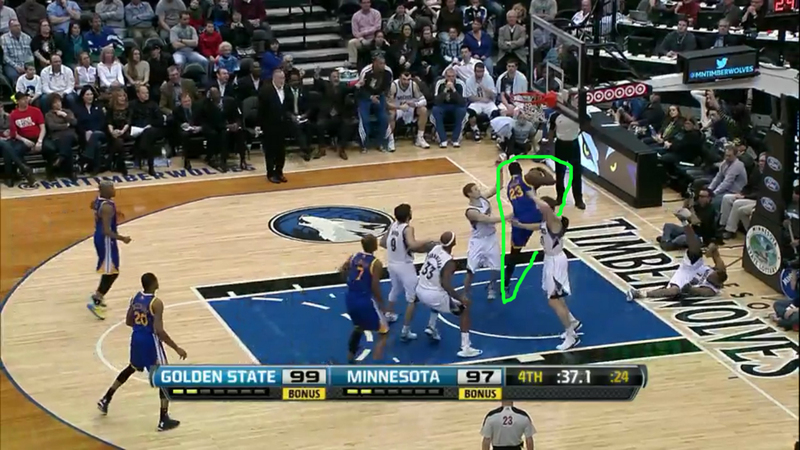 Luke Ridnour and Andrei Kirilenko were the only ones left to grab the rebound for the Timberwolves. Green just out jumps them and snags the ball. He took the ball out and passed it to Kent Bazemore, who took a foul and made free throws to ice the game. You’re probably wondering why Draymond Green is even in the game in that situation. Why would Mark Jackson have a 33% shooting first-year player in the game with the game on the line? Mark Jackson is not a dumb man, and he understands that shooting percentages aren’t a tell-all statistic. He still uses the rookie for the reasons mentioned in the article. He is a great young defender and attacks the glass well. If his veterans are out there, playing lackadaisically and seem out of it, it helps to spark a motor within them when they see a young player fight for offensive rebounds or dive for loose balls. Here’s what Mark Jackson, a retired NBA great in his own right and possibly the leading candidate for NBA coach of the year had to say about Draymond Green, “He’s a leader, and he doesn’t care about tenure. He stepped in here as a leader, and that’s a leader’s mentality… …He’s cooling off opponents’ hottest scorers, keeping a body on them and making it tough on them. He’s rebounding and making plays offensively. He’s giving us a presence by playing with force. The guy is just a tremendous competitor.” Pretty high praise from a man like that. It’s very similar to the praise that Tom Izzo gave to him as a chubby college freshman. He’s a leader and he works hard and he’ll find his way. Coaching belief is one of the most underrated factors in evaluating young players. It helps his morale so much to just know that despite not being able to put the ball in the hoop consistently, his coach still has his back and supports him and still gives him his fair share of minutes for all of the other things that he does that helps the team that doesn’t necessarily show up in the box scores. Draymond’s shooting percentage is of great concern, but he’s always been someone who works hard and will make proper adjustments to do what it takes to win. It’s not like it’s something that’s impossible to rebound from. Jason Kidd, Mugsy Bogues, Chauncey Billups, and Peja Stojakovic all struggled as rookies, each shooting less than 39% from the field. They all found their way in the league and were able to play and be effective for a long time. There is no doubt in my mind that Draymond Green can do the same. You can follow Skyler Gilbert on twitter at @SkylerJGilbert. I tweet a lot. I’d also like to thank NBA.com/stats, 82games.com, and basketball-reference.com for their statistics that I used in this article. In a new segment I’ll be doing every Tuesday on here, I’ll pick out the noteworthy statistics that occurred around the league in the last week. It’s worth noting that many of the single-game historical references only go back to the 1985-1986 season (the limitations of the Basketball-Reference.com play index for game finding). For convenience, “all-time” may mean “since 85-86” in many cases in this article. Stephen Curry: On Wednesday of last week, Curry scored 54 points in a road game against the Knicks in Madison Square Garden. This performance placed Curry third all-time among the top scoring performances by visiting players, putting him just behind Kobe Bryant and Michael Jordan and just ahead of Lebron James. That’s not exactly the worst company to be in. Furthermore, Stephen Curry joins four other players as being the only players to make at least 11 3-pointers in a game. Of the five players who have accomplished that feat, Curry did not only did so on the fewest number of three-point attempts, but also recorded the most points and assists ever by someone that made that many threes in a ballgame. Unfortunately from Curry’s perspective, he may not view the game as better than the games the others players had, since Curry was the only player to lose in such a game. When you add in the game that Curry had the night before in Indiana where he shot 7-10 from beyond the arc, he became the eighth player ever to make at least 7 3-pointers in consecutive games. Curry had already achieved this feat earlier this season against Sacramento and Charlotte (7-12 and 8-13 shooting threes, respectively), making him the first player ever to score 7 threes in consecutive games more than once in his career. The game following the one against the Knicks, Curry took on the Celtics and was unable to follow up the feat. Only Mike Miller and George McCloud have scored 7 three-pointers in three straight games. Lebron James: What hasn’t Lebron done? Whatever it is, he added to it a little more in the last week, especially in his win last Wednesday against the Sacramento Kings. In that game, Lebron set his new career high in assists with 16. His previous career high had been 15, set three times before he joined the Heat. Lebron’s achievements in that game go far beyond the highlights of his own career. They reach a historical level too. For instance, he joined just three other players in NBA history to record a game of at least 40 points and 16 assists. The entire month of February was historically good for Lebron James as well. Lebron set the record for PER in a single month, putting up a player efficiency rating of 38.34 in February. For a metric that sets 15.0 as it’s “average”, it was a pretty unbelievable series of games for James that month, to say the very least. Joakim Noah: The center for the Bulls had a career game last Thursday, scoring 23 points, grabbing 21 boards, and blocking 11 shots. The 21 rebound performance was tied for Noah’s second most rebounds in any game of his career. When he blocked eleven shots that night, it set his personal best for blocked shots in a game. Noah’s performance put him along side Hakeem Olajuwon, Shaquille O’Neal, and Shawn Bradley as players who have had 20 points, 20 rebounds, and 10 blocked shots in a game. Chandler Parsons: Parsons had a career night on Sunday, when he scored 32 points on 12-13 shooting from the field against the Mavericks. Parsons is the first player in over three seasons to score at least that many points on 92% shooting or better. He joins a list of 15 players to have ever done that since the 1985-86 season. Amir Johnson: Johnson had a 23 point, 15-rebound performance off the bench for the Raptors on Monday. What’s even more impressive is that he didn’t miss a single field goal attempt. 49 players have had a game of at least 23-15 as a reserve. Amir Johnson is the only one of these 49 players that didn’t miss a shot. Unfortunately for Johnson, the spectacular performance came in a loss to the Warriors. Luke Walton: On a less impressive (but still a little bit impressive) statistic from the last week, Luke Walton tallied 12 assists and 0 rebounds against the Knicks on Tuesday. Walton is the one of two non-guards to ever do this (the other being George Hill). As a sidenote, Luke Walton scored 2 points and Grant Hill scored 31 points. 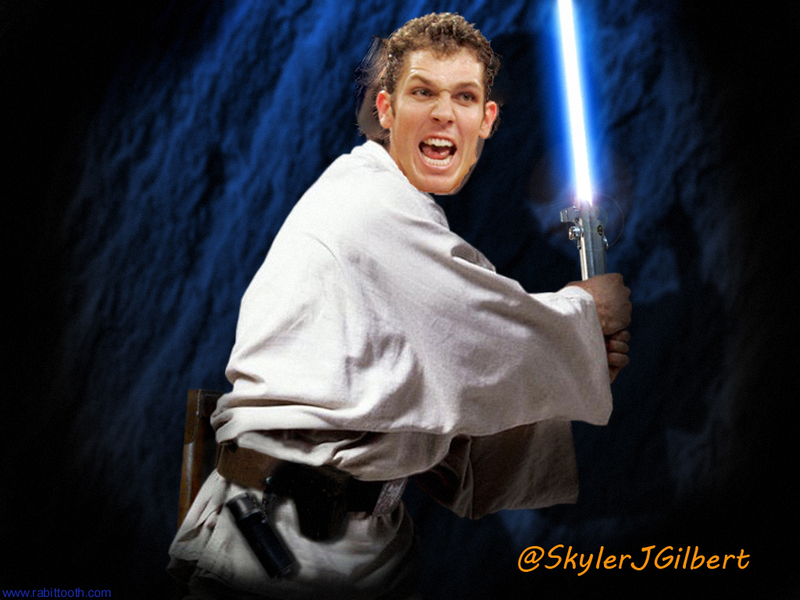 In case we’re still short on Luke Walton love, here is my Luke Skywalton photoshop. You can follow me on twitter at @SkylerJGilbert. In the beginning of the Lakers season, the back-up center for the team was Jordan Hill, who’s effort and energy off the bench provided a nice spark for the team when Dwight Howard needed to take a rest. He hustled for loose balls, rebounded at a high rate, and shot about 50% from the field. He was also a tenacious defender, who, despite being under-sized, was able to run around, cover his assignments, and “annoy” players on the other team with his pesky play. Although the team was struggling in the early months of the year, Jordan Hill was one of the few bright spots. On January 6, Kobe Bryant stepped on Hill’s foot, while Hill was running in another direction and Hill pulled his hip. The injury requited surgery and Hill was lost for the season. The Lakers then turned to Pau Gasol, their veteran power forward who was struggling in the starting line-up and didn’t play well with Dwight Howard. He became to come off the bench and, although he still played with Dwight Howard at times, took all of the back-up center minutes. At this point, the Lakers had a back-up center who not only was a skilled offensive player in the post, could shoot from mid-range well and was an excellent passing big-man, but they also had a very underrated defender under the basket. Despite battling tendinitis in both knees as well as plantar fasciitis, Pau Gasol was able to post a very impressive post-up defense mark. In the time he played this season, he held opponents posting up on him to 0.74 points per possession. According to Synergy Sports Technology, that means he played better post defense than players like Tim Duncan or Serge Ibaka, both of whom are considered by some to be a defensive player of the year candidate Unfortunately, the plantar fasciitis that Gasol had been playing through tore on February 5, taking Gasol out for 6 to 8 weeks. The Lakers were left with three options to fill the void left at the back-up center role. (1) Play Robert Sacre there, the rookie from Gonzaga that they drafted 60th overall last summer. (2) Play Antawn Jamison there and play with a small line-up for the dozen or so minutes each night that Howard needs to sit. (3) Acquire an adequate center from either the D-League or from another NBA team via trade. Well, Robert Sacre has played 15 minutes since Gasol has gotten hurt, coming in three blowout games against Boston, the Clippers, and the Timberwolves. The Lakers let the trade deadline come and pass without making a single move, and there haven’t even been rumors from the team about possibly adding a free agent center or signing someone from the D-League to fix this problem. Yes, that means the Lakers have committed to having Antawn Jamison play center between about 8 and 15 minutes a night, for nearly the entire last month. Firstly, I’d like to acknowledge just how well Antawn Jamison has been playing offensively for the past couple weeks. In the last 5 games he has an eFG% of 60% and a PER of 22.0. He’s really helping the offense off the bench and is making nice cuts to the basket so Nash or Kobe can feed him the ball for the easy basket. His versatility for a power forward is tough for defenses to deal with. He can shoot the three ball well and also has a solid, unorthodox game around the basket including lay-ups at every arm angle imaginable as well as a solid baby hook. I would be fine with all of this. IF HE ONLY PLAYED POWER FORWARD. 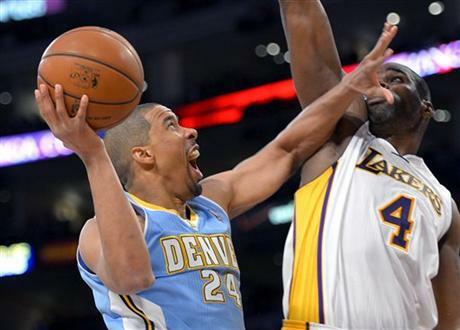 If you look at the Lakers defensive statistics, their inability to protect the rim with Jamison at the 5 is startling. According to nbawowy.com, in 386 possessions this season (about four games worth, enough to dismiss “small sample size” in my opinion), opponents of a Jamison-anchored Lakers defense are scoring 1.228 points per possession. By comparison, the league-wide average points per possession is 1.056 points per game. To put it in another perspective, the Jamison-led defense for the Lakers allows opponents to effectively shoot 58% from the field, compared with the league average of 49% eFG%. You be curious about a confounding variable in this analysis. Is it really Jamison’s defense, or is it poor perimeter defense that causes opponents to torch this lineup so badly? 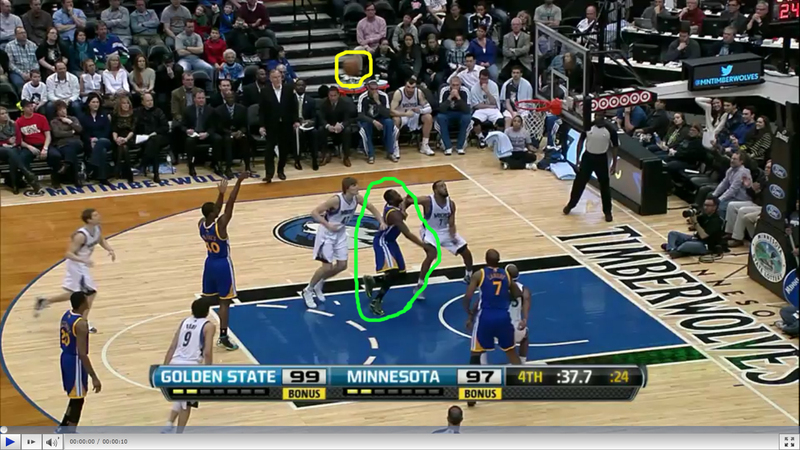 When Jamison is center, opponents shoot 70% from the restricted area under the basket. That’s WAY worse than league average, which is about 59% shooting from there. Even the Sacramento Kings, who are last in the league in defense at the rim, hold opponents to a stellar-by-comparison 65.0% shooting in the restricted area. Jamison is just too old, slow, and weak to be elite on the defensive end as a center. He’s never been a good defender throughout his entire career, playing at the less-important power forward position, but at center it’s just a train wreck. Remember the two-point Lakers lead they had when Howard exited the game? In the span of 4 minutes and 25 seconds, the Nuggets scored 22 points and scored points on 12 possessions in a row, ALL VIA PENETRATION, to turn the scoreboard into a 14-point lead in the Nuggets favor. The Lakers ended up losing the game by 11 points. Perhaps if they had an adequate free-agent defensive center who could have been playing the 5, the game would have been different. There are certainly options out there. Ben Wallace, Hassan Whiteside, Arinze Onuaku, Henry Sims and Tim Ohlbrecht. These are people that can play defense at an adequate level. They can sacrifice offense in that bench unit. They just need to find a way not to lose a lead like that. It isn’t necessarily Jamison’s fault, but he’s a POWER FORWARD and he should play POWER FORWARD and if Mitch Kupchek truly wants to make a real effort to get the team into the playoffs, he should fill this blatant hole in the bench unit, immediately. You can follow Skyler Gilbert on twitter @SkylerJGilbert.